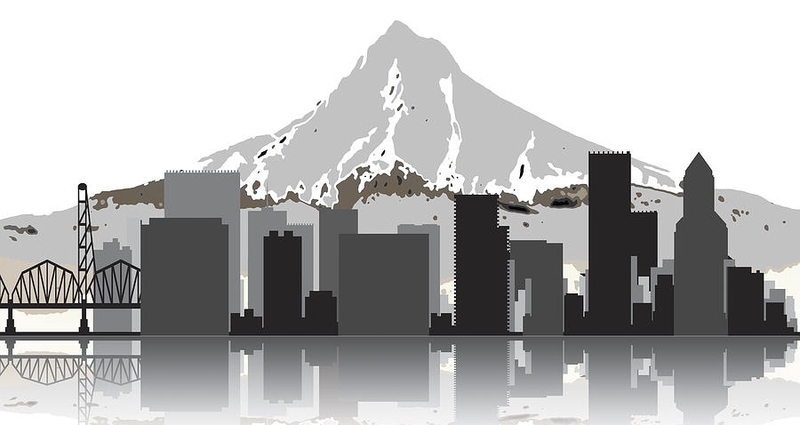 Contest and How to Get Outside Within Portland City Limits! — Train indoors. Play outdoors. Contest and How to Get Outside Within Portland City Limits! We live in the Pacific Northwest, arguably and biasedly, the most beautiful corner of the world! We could pretty much drive in any direction from Portland and be somewhere remote and beautiful within an hour. That said, most of us don’t have a 2 hour round trip window to work with every time we want to get outdoors, especially on the weekdays. Fear not! Over the past 9 years I’ve made it my life’s work to find every nook and cranny of nature left in Portland. Below are my four recommendations in Portland; some you may have heard of, others not, but all can have you in nature within 10-20 minute from your office or doorstep. CHALLENGE: Get to all four Portland spots in the next two weeks and spend at least 30 minutes recreating in the park. Tag @point_gym_kitchen in an Instagram post with photo or video proof of fun (or email them to us at coaches@pointgymandkitchen). Those who complete all four by Friday, February 23 will be entered to win a free POINT beanie or tote bag! 16160 SE Powell Blvd- A little farther outside the city but worth the trek. Powell Butte is an extinct cinder cone volcano comprised of 611 acres of meadowland and forest. What I like about Powell Butte is that you can mountain bike on the trails which is hard to come by in Portland. If biking isn’t your thing you can also run or walk or stroll but watch out for horse poop; they’re welcome too. Powell Butte is comprised of short loops; string some of the loops together for a longer stay. On a clear day, you might even catch a mountain view! Mt. Tabor is also a volcanic cylinder cone. Here, you can bike, run, walk, play on the playground, hit the off-leash dog park or just sit on a bench overlooking the city. There is no shortage of activity here. If you want to get your lungs pumping, see how many times you can run to the top and back in 30 minutes - the stairs are legendary in this city! OMG if you’ve never been then go right now. Just stop reading and go. 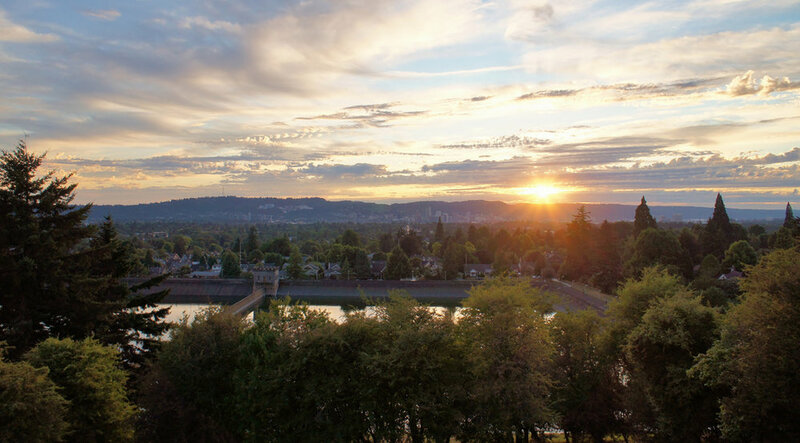 With more than 80 miles of soft-surface trails, fire lanes and forest roads, Forest Park stretches for more than seven miles along the eastern slope of the Tualatin Mountains, overlooking Northwest Portland and the convergence of the Columbia and Willamette Rivers. The trails are primarily for runners and walkers but if you are a biker and bummed about this there are a few options within the park that I have found to be a good time. Leif Erikson Drive out 11 miles, 22 round-trip. I recommend a cyclocross or mountain bike. Take Leif Erikson to Saltzman or start at the bottom of Saltzman off Hwy 30 and ride up until about 100 m before you hit Skyline. There is an unmarked trail on the right side. Go down this. It is a sweet little section of single track that you won’t find anywhere else in the park. It turns into Firelane 5 and spits you out onto Leif. Here’s a “fun” biking loop: Drive or ride up Thurman and hang a left up Aspen Road. Follow it straight until it dead ends. Get on your bike and ride up Holman Ln (very steep uphill). Take a left on 53rd (where Holman dead ends) take a right toward Firelane 1 and ride down it (very steep downhill). Take a left on Leif Erickson then a left uphill on Saltzman. Right on unmarked trail listed in #2. Take the trail down to Leif and ride home or hit the Dragonfly Cafe for coffee and a homemade snack. These are endless in Forest Park. A quick and dirty favorite of mine is to park at Lower Macleay Park and run up to Pittock Mansion and back down. It’s five miles round-trip and roughly 800ft of elevation gain. It’s like a mini Forest Park here! You feel just as secluded in nature but on a much smaller scale. About eight miles of trails, horse trails, and an additional 3 miles of paved bike trail. There’s a nature center and boardwalk where you can take advantage of guided hikes and camps. This is a great area to take advantage of little loops for a short run or walk. If you’ve never been, I highly recommend it! There you have it! The quick and dirty guide to getting outdoors within the city limits of Portland. Here, our backyard is literally our playground; we have no excuse but to enjoy it! Again, your CHALLENGE: Get to all four in the next two weeks, spend at least 30 minutes recreating in the park. Tag @point_gym_kitchen in an Instagram post with photo or video proof of fun (or email them to us at coaches@pointgymandkitchen). Those who complete all four by Friday, February 23 will be entered to win a free POINT beanie or tote bag!